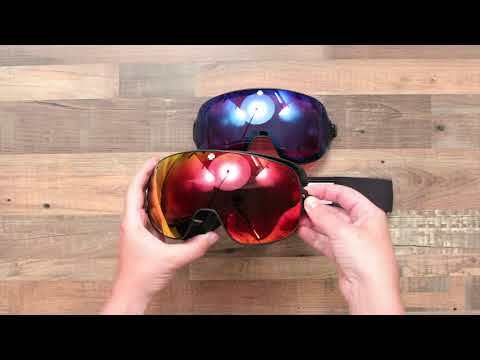 Shred-ready goggles with a pair of interchangeable lenses. The Bravo Goggles' flexible frame contours to your face for total comfort. Plus, the lenses are a cinch to swap out, so your vision is stays razor sharp. All styles include a bonus lens, letting you customize your outlook for the conditions. 5.5-base curve ARC spherical dual-layer lens has anti-fog and anti-scratch protection. Lock Steady lens system uses a push button pop one lens off and slide the other on. Flexy polyurethane frame contours to a wide range of face shapes and sizes. Includes a spare Happy yellow with lucid green spectra lens with 53% visible light transmission.